When you come to have a new website built for your business, it is important that you are aware of the various options available to you in terms of the structure of your website. If you are looking for a simple advert-style website then a flat-file system is a straightforward and cost-effective of getting your company on the world-wide web. However, if you need a little more advanced functionality then a content management system could be just the thing you’re looking for. 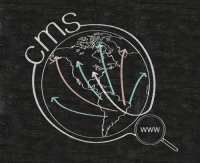 A content management system, or CMS, does exactly what it says on the tin. Broadly, it is a system which is designed to help you to manage content on your website. Content management systems come in all shapes and sizes, from blog management systems to eCommerce packages, simple page-updaters to dynamic content generation systems. The term is all-encompassing. What they have in common, however, is the way in which they are able to store, retrieve and manage data with ease. A content management system will consist of the front-end system, enabling you to manage your content and the end user to view it and utilise it on your website; the back-end system, which retrieves data and manipulates it in such a way that it can be easily utilised by the front-end; and the database, which stores the data and allows it to be retrieved by the back-end system. Common database formats include MySQL for Unix-based systems and Microsoft SQL Server for ASP-based systems. A common use of content management systems is that of blog management. Blog management systems, such as Wordpress, have a wide range of uses nowadays - far beyond that of maintaining a blog. Wordpress, in particular, is very popular as a generalised CMS, allowing users to create simple text pages and interlink them in a way which makes maintaining their website much easier than it otherwise would be. Widgets, plugins and themes make setting up and maintaining a website with Wordpress a breeze, and it is an increasingly popular option as a generalised CMS. Of course, blog management systems such as Wordpress are the best option if you are looking to set up a blog-based website. The management of blog posts is fully taken care of, from category management to sorting and ordering, archiving and commenting. Although your website may seem impressively complicated, a high quality content management system can make the whole process a breeze. If you are looking to sell products through your website, you will almost definitely need an eCommerce system. Popular eCommerce packages, including osCommerce, make it easy for you to set up an online store and integrate your products with a payment acceptance solution. Services such as PayPal and WorldPay are relatively simple to set up and will allow you to accept payments safely and securely through your website in order to begin selling products and making money through the web. An eCommerce content management system will allow you to add, remove and update products with ease and makes managing your online store incredibly simple. Whether you are looking to launch a blog, an online store, or even if you are just simply looking for a way to update your website’s content with ease, a content management system could be just the right solution for you. You do not need any particularly advanced technical expertise in order to operate a well set-up content management system and can administrate an advanced form of website with relative ease. All content management systems come with easy-to-use front-end systems which will make updating your website, adding pages and tweaking products a breeze. Content management systems do tend to be more expensive than simple flat-file websites due to the time they take to set up and calibrate, but the power which lies behind a good content management system is truly unbeatable, and you’ll have a website which can maintain products and content easily for many years to come. If you’re looking for a more powerful solution than a simple website, a content management system might be just the thing for you. No comments received yet. Be the first by completing the form below! Disclaimer: The content of this article is provided for information only and do not constitute advice. We are not liable for any actions that you might take as a result of reading this information, and always recommend that you speak to a qualified professional if in doubt. Reproduction: This article is © Copyright Ampheon. All rights are reserved by the copyright owners. Permission is granted to freely reproduce the article provided that a hyperlink with a do follow is included linking back to this article page.